I think it's about time to get this trip wrapped up, non? It's taken me so long to get to day six, and now the pictures I took with my good camera have disappeared. I'm hoping they're hiding somewhere in my computer files, or maybe the cloud? I do not understand the cloud, so let's hope they're not there. For today, I'll have to share what we took with our cell phones. If you missed the first five days, you can read about them here, here, here, here, and here. We woke to another warm, sunny day, perfect for a trip out of the city to visit Versailles. Having finally figured out the train situation, our plan was to arrive early to avoid the long lines to get into the Chateau. Success! 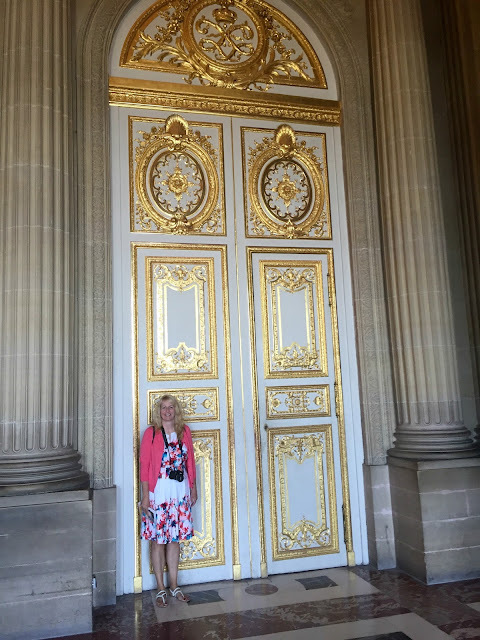 Standing outside, waiting for the doors to open, and taking in the opulence of the outer chateau, it wasn't hard to imagine why there was a French Revolution. I can see the peasants' point. 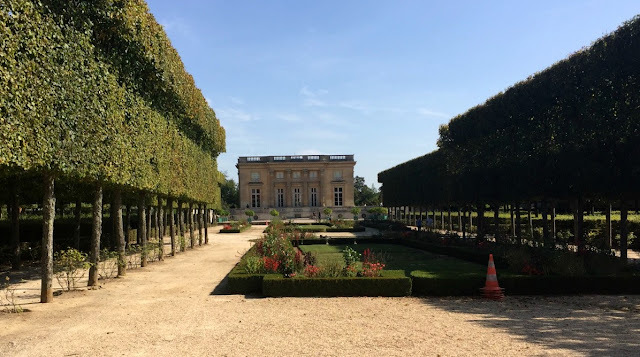 The Queen's Wing was closed for renovation, so we toured the other half of the chateau fairly quickly. 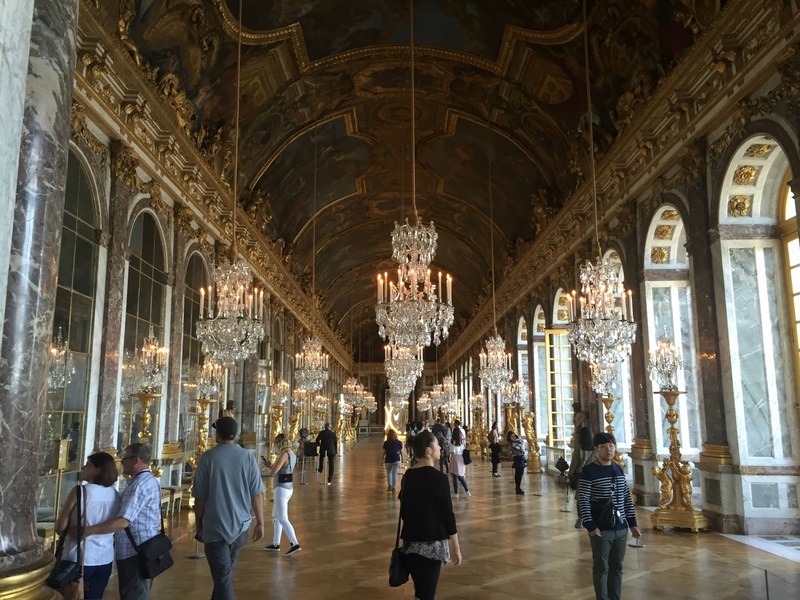 The Hall of Mirrors was breathtaking. After grabbing a picnic lunch to go at a cafe, we headed out into the gardens. In the distance you can see the Grand Canal. In Louis XIV's time, authentic gondoliers, imported with their boats from Venice, lived in a little settlement next to the canal. Today you can rent rowboats and sing to yourself. We wandered around the gardens, finally stopping for our picnic lunch. There are beautiful pictures somewhere, if only I can find them. After eating we made our way to the Trianon Palaces and the Domaine de Marie-Antoinette. 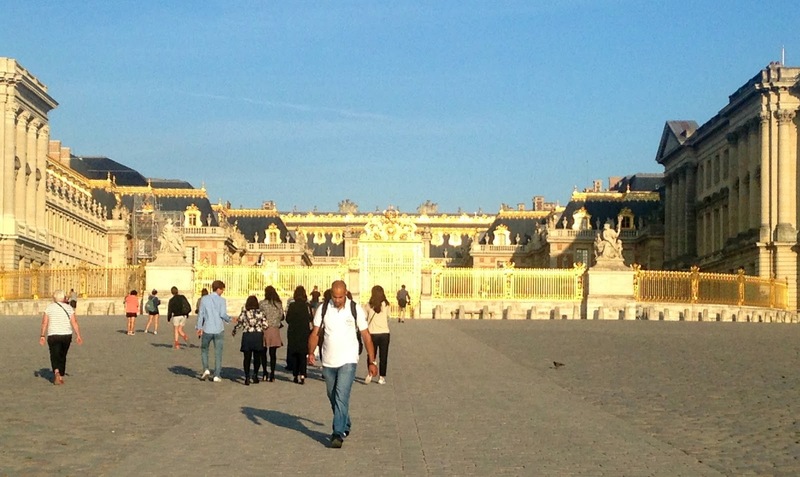 Back in the day, Versailles was an escape from the pressures of ruling a country. But as the Chateau became busier, Louis XIV needed an escape from his escape, so he had a smaller palace built out in the north 40. 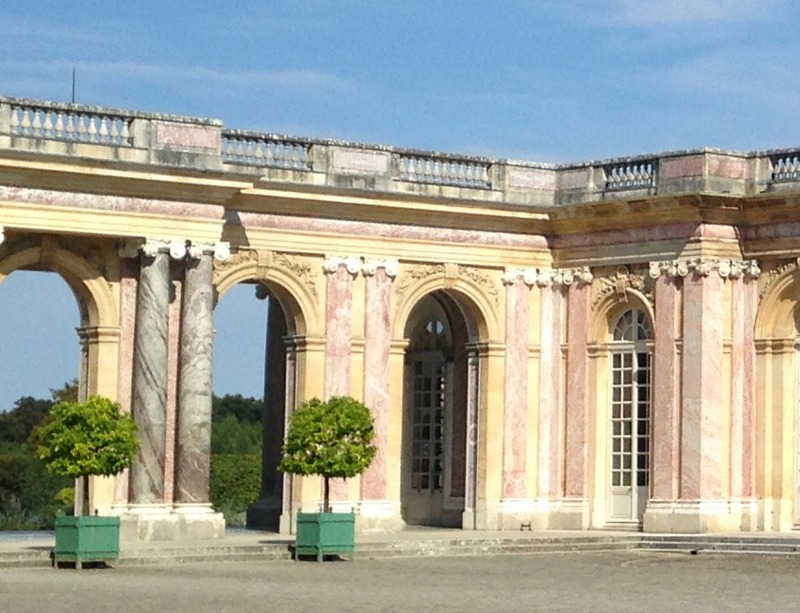 Later generations expanded the area and added Marie-Antoinette's Domaine. All sorts of shenanigans went on out there. The palaces and gardens here were intimate and even more beautiful. If I ever build a palace for myself, it shall be made of pink marble. There was a grotto, and a hamlet, and a Temple of Love. Damn, I wish I could find my pictures! Exhausted from our day of pretending to be French royalty, we caught a train back to Paris. There was an epicerie fine in our neighborhood, with yummy looking salads and meats in the window, so we stopped in for some dinner goodies. After smiling at our terrible French, the owner asked where we were from. 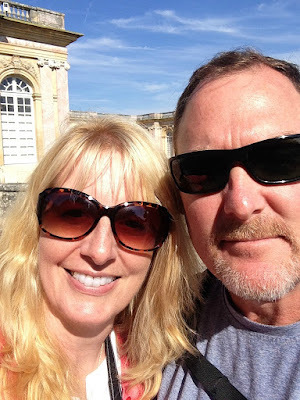 It turned out that he and his husband had honeymooned in Seattle many years ago, so we spent an hour talking about all things Pacific Northwest. After dinner and a few glasses of wine on the terrace, it was off to bed. Tomorrow I had a date with Mona. Ahhh Paris with the prettiest girl...LOVE your dress and cardigan. LOVE these recaps and cannot wait for more on the mona!!!! Happy Weekend beautiful babe!! Thanks Andrea! The trip is finally coming to an end, but not until we visit Mona! What beautiful gardens! The hall of mirrors in the chateau are stunning! How fun that you were able to chat about Seattle with your waiter! I've really enjoyed your recaps! Thanks Jill. The entire place was stunning. 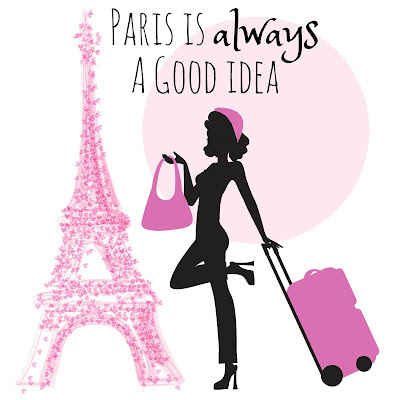 I have been loving all of your Paris posts. 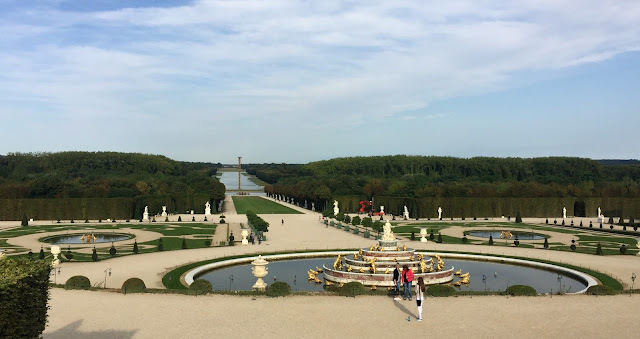 We did a bus tour to Monet's Garden AND Versailles. I wish we would have had more time to explore the gardens at Versailles, but it was just a perfect day. You def. need to go see Monet's Garden next time you're in Paris!! Monet's Garden was on our list, but we just couldn't fit it in. Gives me a reason to go back though! I am so sad that we didn't do Versailles. Was reading a story aloud to the kids at school about Louis XVI and Marie Antoinette, trying to explain why they were beheaded. Wish I had had these photographs to illustrate my points! What over-the-top magnificence in that palace and grounds. That gold trimmed door complements your darling outfit nicely! How romantic to have a picnic. You certainly made the most of your time in Paris. Thanks Leslie. Yes, it isn't hard to see why the hard working peasants revolted! Oooh, a date with Mona. I love that this series has still been going. I love your outfit! I love the photos. It looks so warm and sunny and pleasing. I hope you find your photos! That would make my hair turn gray. I actually thought of you when I couldn't find my pictures. I just can't figure out why they're not there anymore. Yep - we should go together.